Nigeria is a unique country. It is filled with many smart and hardworking people. It is also the home of some notorious bad people who have chosen to look for money in nefarious ways. The northern part of the country is predominantly muslim while the southern part is predominantly christian. Nigeria is made up of 36 states and over 300 languages are spoken by different tribes. The most common languages however are English, Pidgin, Hausa, Yoruba, Igbo and Ibibio with most of the population being able to speak at least 3. 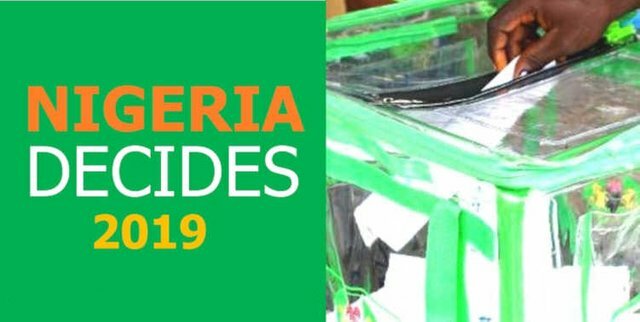 The Presidential Elections(as well as senatorial and House of Reps) were supposed to hold on February 16th, 2019 but less than 10 hours to the election, the Independent National Electoral Commission (INEC) announced that the election would be postponed. According to the announcement by INEC Chairman it was logistic reasons. Seems the sensitive materials (ballot boxes, voting paper, PVC card readers etc) had not been fully distributed to every polling center. Keep in mind they had about 4 years to plan for the election. The election was rescheduled to hold on the 23rd of February and from my personal observation it was the most peaceful election Nigeria has had till date. Results are still being collated and the final results will be announced this evening (24th February 2019) on national TV by the INEC chairman. From the news around, it already looks like an expected two-man race between the Atiku Abubakar, the candidate of the former ruling party (PDP) and the current president Muhamadu Buhari. Personally, I don't see what Atiku will offer Nigerians. He was Vice President before and all he had to show for it was a long list of allegations against him. The self-proclaimed businessman has a couple of "companies" with less than 30% Nigerian staff working in them. Not exactly the type of person I think will push for the betterment of Nigerians. President Buhari, on the other hand, has been criticized for being very slow to make impactful decisions. His intolerance to corruption and war against many powerful criminal politicians has been spun in the media to paint him as someone who doesn't care about the welfare of Nigerians. Many people feel things were better under the thieves because at least crumbs got to them. He also banned the importation of non-essential items in an attempt to conserve the foreign reserve of the country during the recession. I wish Nigerians would try to be self-sufficient and look inwards to producing the objects of our desire instead of extravagant importing. Hello @ulqu3! This is a friendly reminder that you have 3000 Partiko Points unclaimed in your Partiko account!